The Leo desk is "not just for kids, anymore." 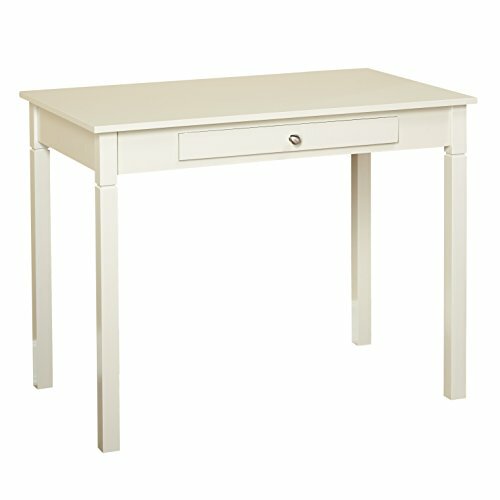 Although a great fit for teen bedrooms and young adults heading off to college dorm-life or apartment living, the clean lines and compact design take the Leo Desk beyond the small "go to your room and do your homework!" mentality. Consider creating an environment for you to be together. The Leo Desk's size and versatile style, available in off-white, black and gray finish for any decor, allow you to incorporate ample work space in today's open living spaces without taking out a wall or even moving a couch. Take your existing living room for example or the space along side your kitchen that flows into your dining area, add the Leo Desk and slide your favorite upholstered accent or dining chair (We at Target Marketing Systems have a few we'd love for you to try and share with us) underneath. Add four cell phones, a couple tablets, and chargers galore and you have just created today's modern-day family room. Yes, it may not be peaceful and it may mean pizza off paper plates and multiple devices simultaneously in use, but you're surrounded by each other. A place for your kids to complete home work or for adult home work like sorting mail or paying bills. Use the handy center drawer to stash commonly used office supplies and for the emergency clean-up when your MIL shows up announced. Family time is a precious commodity these days, so why not take every opportunity to be together!.